Applied for DASA & confused about the SAT Score cut-off of your dream college? Then TestprepKart outlines all the colleges under the DASA scheme and their cut-offs branch wise. Dig in for more details. What are the best colleges among the 50 participating colleges under the DASA scheme? TestprepKart takes you through the top 15 engineering colleges according to the MHRD’s National Institute Ranking Framework (NIRF) 2018. What should be the minimum SAT score to onboard NIT Trichy under the DASA and CIWG scheme? The minimum score you need to onboard NIT Trichy is 2000 for the CIWG students and 1850 for the DASA students irrespective of the programs. What should be the minimum SAT score to onboard NIT Rourkela under the DASA and CIWG scheme? The minimum SAT score you need to onboard NIT Rourkela is 1850 for the CIWG applicants and 1950 for the DASA applicants irrespective of the stream. What should be the minimum SAT score to onboard NIT Surathkal under the DASA and CIWG scheme? The minimum SAT score you need to onboard NIT Surathkal is 2200 for the CIWG applicants and 1850 for the DASA applicants irrespective of the stream. What should be the minimum SAT score to onboard NIT Warangal under the DASA and CIWG scheme? The minimum score you need to onboard NIT Warangal is 2150 for the CIWG applicants and 1850 for the DASA applicants irrespective of the stream. What should be the minimum SAT score to onboard Visvesvaraya National Institute of Technology (VNIT) Nagpur under the DASA and CIWG scheme? The minimum score you need to onboard NIT Nagpur is 1850 for the CIWG applicants and 1950 for the DASA applicants irrespective of the stream. What should be the minimum SAT score to onboard NIT Kurukshetra under the DASA and CIWG scheme? The minimum score you need to onboard NIT Kurukshetra is 1850 for the CIWG applicants and 1850 for the DASA applicants irrespective of the stream. What should be the minimum SAT score to onboard NIT Durgapur under the DASA and CIWG scheme? The minimum score you need to onboard NIT Durgapur is 1850 for the CIWG applicants and 1950 for the DASA applicants irrespective of the stream. What should be the minimum SAT score to onboard Motilal Nehru National Institute of Technology (MNNIT) Allahabad under the DASA and CIWG scheme? The minimum score you need to onboard Motilal Nehru National Institute of Technology (MNNIT) Allahabad is 1900 for the CIWG applicants and 1850 for the DASA applicants irrespective of the stream. What should be the minimum SAT score to onboard NIT Calicut under the DASA and CIWG scheme? The minimum score you need to onboard NIT Calicut is 2000 for the CIWG applicants and 1870 for the DASA applicants irrespective of the stream. What should be the minimum SAT score to onboard Malaviya National Institute of Technology Jaipur (MNIT) Jaipur under the DASA and CIWG scheme? The minimum score you need to onboard Malaviya National Institute of Technology (MNIT) Jaipur is 1900 for the CIWG applicants and 1850 for the DASA applicants irrespective of the stream. What should be the minimum SAT score to onboard Maulana Azad National Institute of Technology (MNNIT) Bhopal under the DASA and CIWG scheme? The minimum score you need to onboard Maulana Azad National Institute of Technology (MANIT) Bhopal is 1850 for the CIWG applicants and 2050 for the DASA applicants irrespective of the stream. What should be the minimum SAT score to onboard NIT Silchar under the DASA and CIWG scheme? The minimum score you need to onboard NIT Silchar is 1950 for the CIWG applicants and 2050 for the DASA applicants irrespective of the stream. What should be the minimum SAT score to onboard Sardar Vallabhai National Institute of Technology (SVNIT) Surat for the DASA and CIWG applicants? The minimum score you need to onboard Sardar Vallabhai National Institute of Technology (SVNIT) Surat is 1850 for the CIWG applicants and 1850 for the DASA applicants irrespective of the stream. What should be the minimum SAT score to onboard NIT Hamirpur for the DASA and CIWG applicants? The minimum score you need to onboard NIT Hamirpur is 1950 for the CIWG applicants and 1850 for the DASA applicants irrespective of the stream. 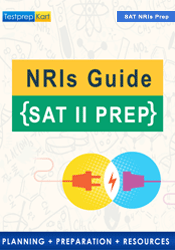 What should be the minimum SAT score to onboard NIT Raipur for the DASA and CIWG applicants? The minimum score you need to onboard NIT Raipur is 1850 for the CIWG applicants and 1900 for the DASA applicants irrespective of the stream. What should be the minimum SAT score to onboard Delhi Technological University (DTU) for the DASA and CIWG applicants? The minimum score you need to onboard Delhi Technological University (DTU) is 1950 for the CIWG applicants and 1850 for the DASA applicants irrespective of the stream. What should be the minimum SAT score to onboard Indraprastha Institute of Information Technology Delhi for the DASA and CIWG applicants? The minimum score you need to onboard Indraprastha Institute of Information Technology Delhi is 2250 for the CIWG applicants and 2250 for the DASA applicants irrespective of the stream. What should be the minimum SAT score to onboard Punjab Engineering College (PEC) for the DASA and CIWG applicants? The minimum score you need to onboard Punjab Engineering College (PEC) is 1870 for the CIWG applicants and 1850 for the DASA applicants irrespective of the stream. What should be the minimum SAT score to onboard Shri Mata Vaishno Devi University for the DASA and CIWG applicants? The minimum score you need to onboard Shri Mata Vaishno Devi University is 1900 for the CIWG applicants and 1850 for the DASA applicants irrespective of the stream. What should be the minimum SAT score to onboard Indian Institute of Information Technology (IIIT) Design & Manufacturing Jabalpur for the DASA and CIWG applicants? The minimum score you need to onboard Indian Institute of Information Technology (IIIT) Design & Manufacturing is 2000 for the CIWG applicants and 2000 for the DASA applicants irrespective of the stream. What colleges will I be able to get with the SAT Subject score of 1800 under the DASA and CIWG schemes? It’s unlikely possible to get admission with the SAT score of just 1800. What colleges will I be able to get with the SAT Subject score of 1850 under the DASA and CIWG schemes? What colleges will I be able to get with the SAT Subject score of 1900 under the DASA and CIWG schemes? What colleges will I be able to get with the SAT Subject score of 1950 under the DASA and CIWG schemes? What colleges will I be able to get with the SAT Subject score of 2000 under the DASA and CIWG schemes? What colleges will I be able to get with the SAT Subject score of 2050 under the DASA and CIWG schemes? What colleges will I be able to get with the SAT Subject score of 2100 under the DASA and CIWG schemes? What colleges will I be able to get with the SAT Subject score of 2150 under the DASA and CIWG schemes? What colleges will I be able to get with the SAT Subject score of 2200 under the DASA and CIWG schemes? What colleges will I be able to get with the SAT Subject score of 2250 under the DASA and CIWG schemes? What colleges will I be able to get with the SAT Subject score of 2300 under the DASA and CIWG schemes? If your score is more than 2300, you’re very likely to admit in all your prospective colleges. That is, you can admit in all the 50 participating colleges under the DASA scheme. Check all the DASA 2019 participating colleges here. What colleges will I be able to get with the SAT Subject score of 2350 under the DASA and CIWG schemes? If your score is more than 2350, you’re very likely to admit in all your prospective colleges. That is, you can admit in all the 50 participating colleges under the DASA scheme. What colleges will I be able to get with the SAT Subject score of 2400 under the DASA and CIWG schemes? If your score is more than 2400, you’re very likely to admit in all your prospective colleges. That is, you can admit in all the 50 participating colleges under the DASA scheme. If you’ve got any queries, then please write to info@testprepkart.com for further assistance.